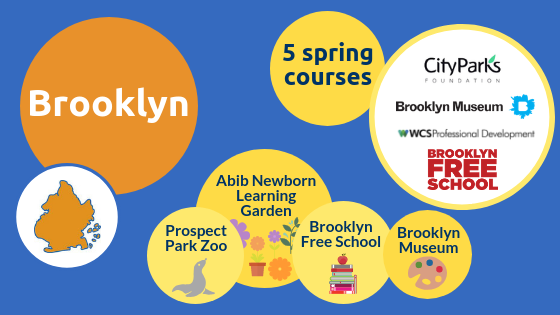 Spotlight on: Courses in Brooklyn! The start of the semester is just around the corner, so get ready to spring into professional learning with an ASPDP course! Are you a Brooklyn-based teacher? Check out these courses conveniently offered in your borough! Educators of all subject areas are welcome to learn how to integrate art into their teaching practice in order to improve student learning. In a hands-on experience at the Brooklyn Museum, you will practice strategies to engage students and suuport higher order thinking skills. Through modeling, guided practice, application and feedback, teachers will develop skills for learning successful art inquiry discussions in the classroom and/or museum. Are you sure you want to save these changes?